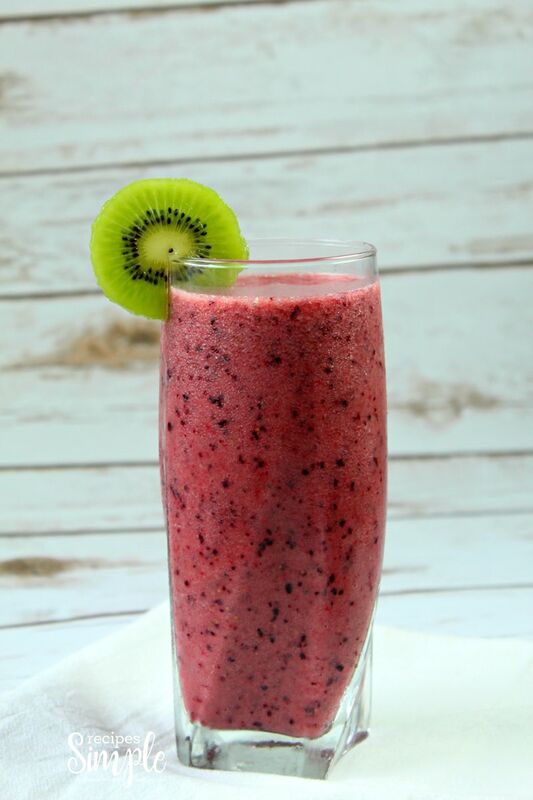 Start your morning with a delicious blend of Kiwi, Strawberries, Raspberries and blueberries for a refreshing treat for a busy day. I love to buy fruit and berries when they are in season and on sale. It’s a great idea to buy extra and freeze them to use later. Saves money and time. To prepare the berries I start by washing and soaking them in vinegar (1 cup white vinegar plus 3 cups water). The berries don’t taste like vinegar because they are washed in a diluted vinegar solution and then thoroughly rinsed. After washing the berries I lay them out on paper towels to completely dry. Once dried I put them in a Ziploc Freezer Bag and store them in the freezer. 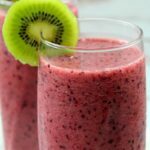 Scroll down to bottom of page for a printable recipe. 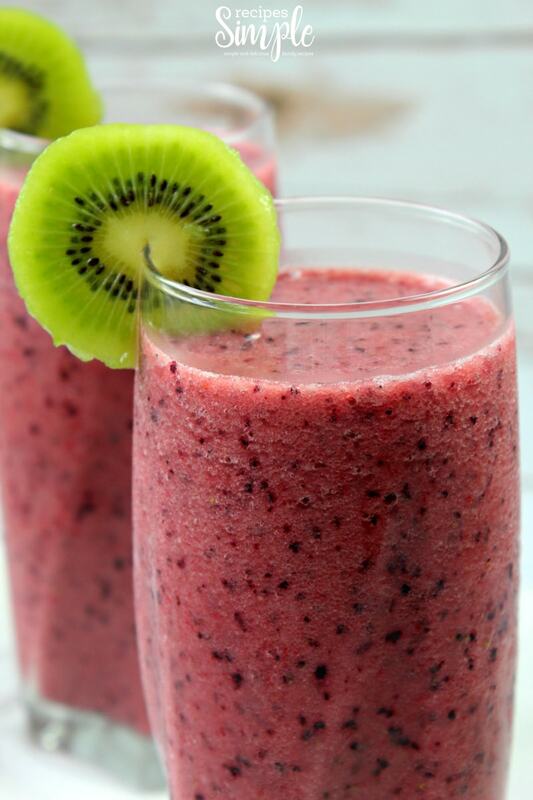 Combine all ingredients in a blender and blend on high speed for 2 minutes, or until smooth. 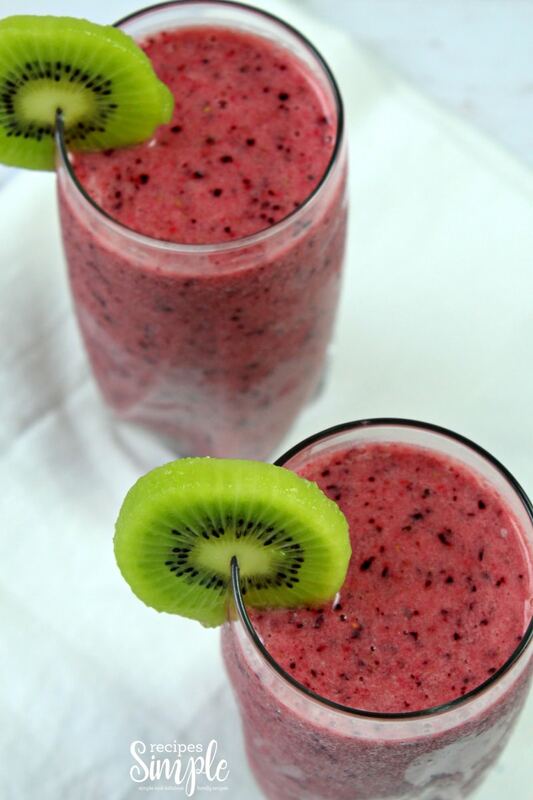 Top with sliced kiwi and/or berries if desired.